Very excited to announce the launch of our new training initiative. i2i Creative Training Solutions by UCAN Productions. The first workshops were held on 13th of September 2016 and delivered at the University Hospital of Wales for fourth year Junior Doctors. These series of interactive workshops were developed and delivered by ‘UCAN Productions’, and Nicola Crews, MBE, a Training consultant. The workshop included exploring the emotional and practical aspects of living with visually impairment and run by visually impaired tutors from UCAN Productions. 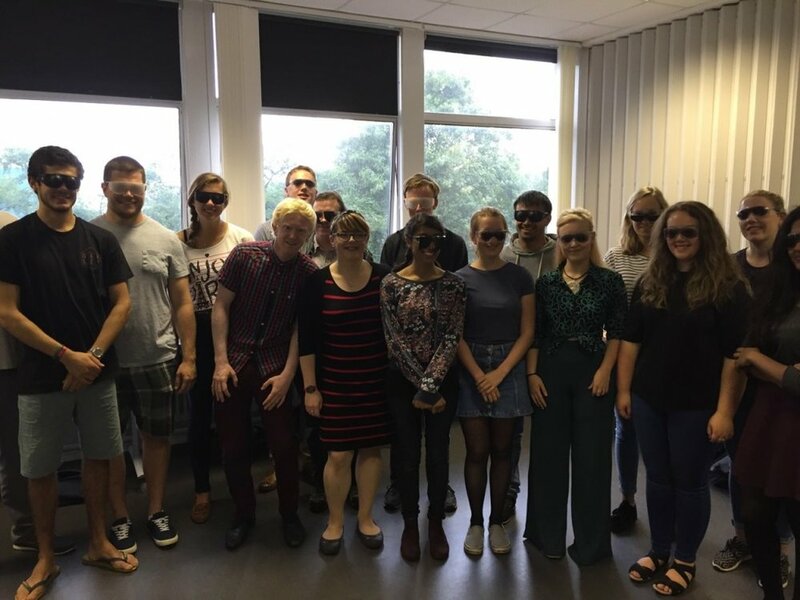 The tutors’ experiences of visual impairment formed the basis of the lesson, as students wore spectacles simulating different forms of visual impairment and attempted to perform routine tasks such as pouring a glass of water.